For those of us in Colorado that love the outdoors and the snow but despise ski traffic and hordes of people, snowshoeing is a great alternative to skiing. No, there isn’t the thrill of bumping down Outhouse, but snowshoeing doesn’t require a lot of money and there are no lift-lines to deal with. You don’t need the latest and greatest gear and you don’t need lessons. You just need snow, a pair of snowshoes and an overwhelming desire to get outside. 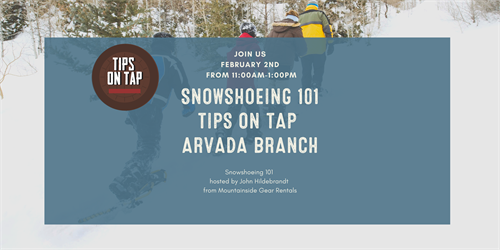 Join On Tap and John from Mountainside Gear Rental for this free class that will cover all the basics to get you out and enjoying the snow.